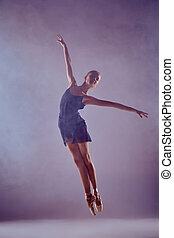 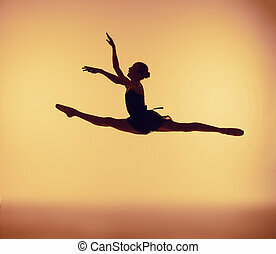 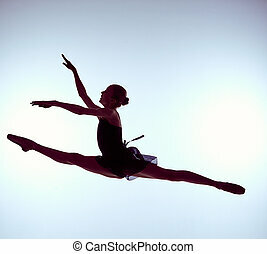 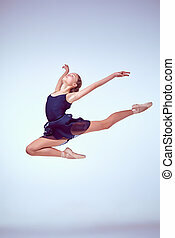 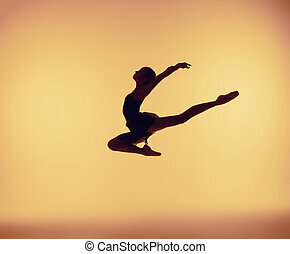 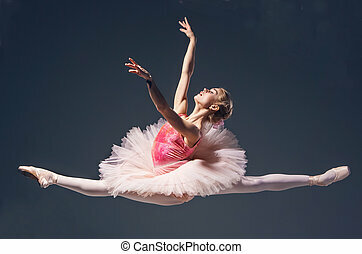 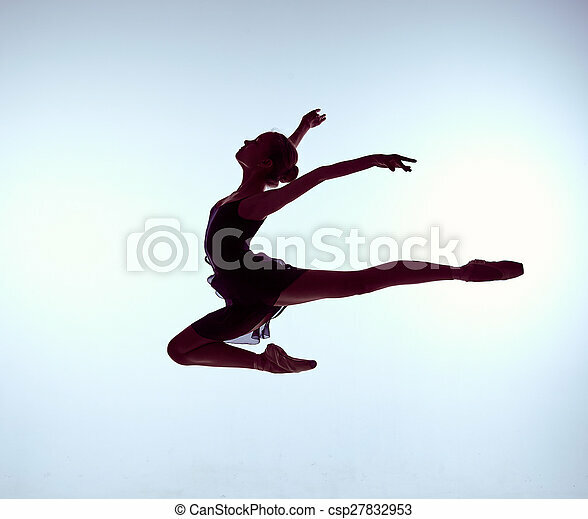 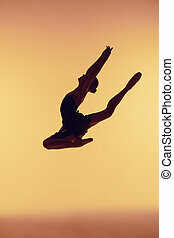 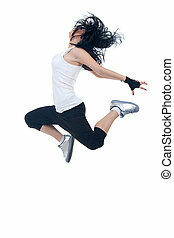 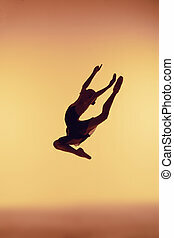 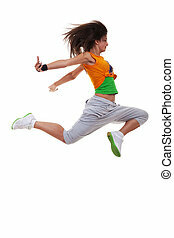 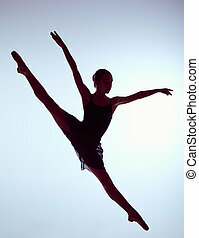 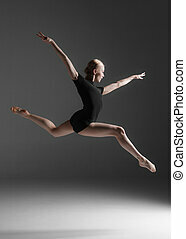 Beautiful young ballet dancer jumping on orange background. 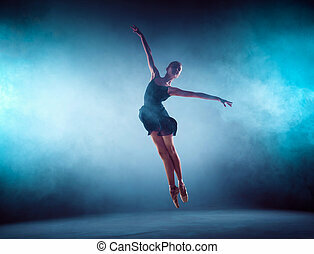 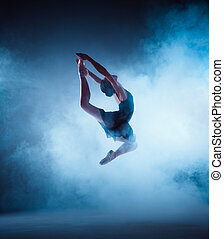 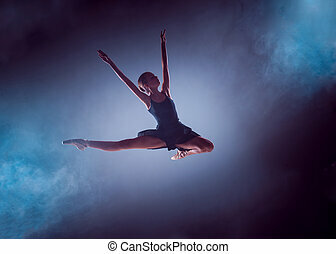 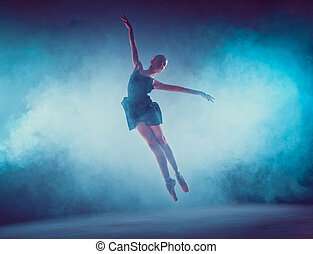 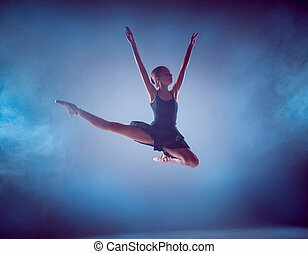 The silhouette of young ballerina jumping on a blue smoke background. 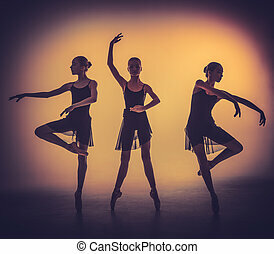 The silhouettes of young ballerinas posing on a gray background. 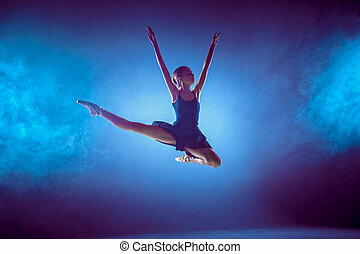 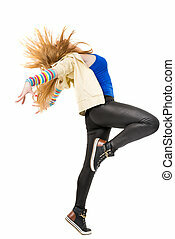 Young classical dancer dancing on white background. 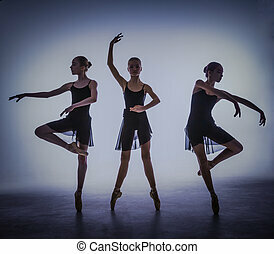 Ballerina project.